It was inevitable that a self-driving vehicle would hit a pedestrian and cause a fatality. While the technology that enables vehicles to operate autonomously has developed to the point that it works as intended in most situations, it's still being tested and perfected. Potential failure is why Uber still has humans behind the wheel. The self-driving system can become confused where it can't see lane markers, when there's bad weather or when there's heavy traffic with cars unpredictably changing lanes. And yet, self-driving cars have the potential to be much better drivers than humans. They can see in the dark hundreds of feet down the road, thanks to onboard radar and Lidar. And they don't get drunk or distracted or suffer from poor eyesight. Self-driving cars should be able to anticipate and react faster and better than a human. So why was Elaine Herzberg struck by a self-driving Uber, as she pushed her bicycle across a busy roadway? 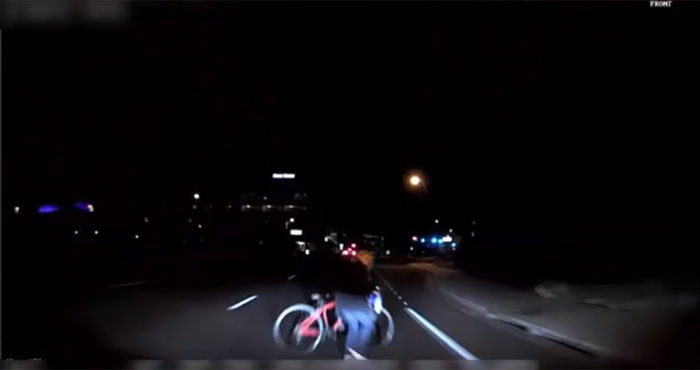 The video released by the Tempe Arizona Police Department shows us what the human Uber operator was doing at the time of the crash and the view out the front dash. What's obvious is that the human operator wasn't paying attention and didn't see the woman until it was too late. And the car's autonomous driving system didn't detect the person at all. Did the sensors fail? Was there a software glitch? Would crossing at a known pedestrian crosswalk have made a difference (she was about 100 feet away)? Until questions are answered about why the sensors in the vehicle didn't "see" the woman and her bicycle, Uber is suspending the operation of its driverless vehicles. I believe autonomous vehicles have considerable benefits which will lead to far greater safety on the road. Hopefully, the issues that caused this crash will be resolved quickly. I wasn’t aware that there was a driver in car until they posted video and I changed my impression of accident based on that information. One, the driverless car scanning of objects needs to be expanded for low light situations, aside from that, the person who was killed crossing with the bike was definitely jaywalking ( middle of street cross). This is a problem I foresaw being a problem in NYC where everyone jaywalks and totally ignores traffic lights which would make driverless cars unable to move correctly in traffic flow pattern. Second, I don’t care what the driver says, their eyes were in the down position until impact. There was no viewing of road eye pattern. If you are going to be sitting in a driver’s seat, your eyes need to be facing front and alert. In my opinion this’s driver was partly at fault as their role in testing out these cars is to note things that the driverless car is not reacting to properly. That woman was visible in camera early enough for a person to avoid and honk at. Third, that person crossing street wasn’t hurrying so my question is how visible was the headlights to this person? Were they even on? The biggest question, of course:Is it “racist” or “antisemitic”?